On the one side, there’s Frank, Bonnie, Michaela, Connor, Asher, and Laurel. And, of course, their general, Annalise. All season, the DA’s office has been coming after her. Newly invigorated after getting out of jail, she comes for them hard. She goes right to the attorney general, requesting a grand jury hearing to take Renee Atwood and the rest of the DA’s office to task for gross misconduct, which they’re no doubt guilty of. But it’s a huge power move, and the state is hesitant to get involved. As Nate explains, they protect their own. And Annalise isn’t exactly the most respected lawyer in Pennsylvania these days. Though she’s the main target in the war, all her soldiers are at risk. After they catch wind of the grand jury request, the DA’s office promises to come after the rest of them, suggesting they have dirt on Bonnie and all the Keating kiddos. So on the other side, there’s the DA office. And that’s the thing: They aren’t good villains. We barely know anything about them other than the fact that they hate Annalise. Other lawyers and prosecutors have come for Annalise before (just look where it got Emily Sinclair), and it makes sense that a woman of her magnitude would attract enemies, but I find the motivation here lacking. Presumably, they just think they’re doing the right thing. They’re on a quest for justice. But make no mistake: Their attacks on Annalise, especially as far as Atwood is concerned, seem personal. It’s just unclear why they’re so personal. The wicked and elusive Mahoneys make way more sense as villains. “It’s War,” at least, connects the two villain groups with the new information that Atwood was likely working with them when she had the body moved. Still, it’s hard to be invested in a war with so many empty, undefined players. And that’s exactly what Atwood and the DA are. Then there’s the Mahoneys, who have the opposite problem: They’re caricatures. As with most wars, there are some players who don’t exactly belong to either side but who are nonetheless swept up into the madness. Soraya Hargrove is one of them, and the most compelling act of war in the episode is centered on her. 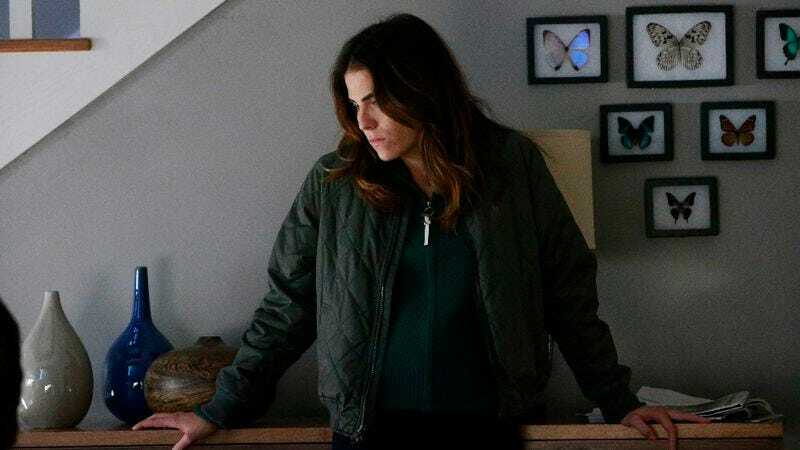 All season, Soraya’s sudden interest in Annalise has felt a little… off. Sure, she recognized Annalise as a fellow addict. But her dynamic with Annalise went beyond friendship and work. Now, I interpreted this as romantic tension initially. Even in this episode, when Annalise zones out on what Soraya is saying and starts focusing on her mouth and hands, moving in slow motion, it looks like an intentionally sensual moment. But no. Annalise isn’t realizing she has feelings for Soraya. She’s realizing she has been played. It’s a well-executed reveal—one that manages to give context and depth to all their previous interactions. Atwood convinced Soraya to be her spy, dangling the promise of custody in front of Soraya. Remember last week when I wrote that Annalise and Soraya’s relationship was refreshing because it wasn’t steeped in fucked-up power dynamics and manipulations and lies that every other relationship on this show is? Yeah, well, How To Get Away With Murder played me good. And honestly, I’m not mad. It’s a fitting and effective twist that hits hard, because it affects Annalise on a personal level. Her one friend all season turns out to be an agent of the enemy. The Soraya reveal is unquestionably the best moment of the episode. For all its talk of war and all the power moves being made on both sides, it’s a rather slow and tedious episode in its first half. The characters do a lot of rehashing, and some of the more intimate moments lack the emotional gutpunch of those in last week’s episode. Michaela and Annalise going toe-to-toe makes for a fun scene, especially since it underscores how Michaela has become a mini-Annalise. But other than that, the first half of the episode is a blurry, hasty mess. The second half stands on slightly stronger foundation, especially by the time Laurel and Annalise’s last interaction comes about. In that scene, Annalise delves into the tangled mess that was her relationship with Wes. She explains to Wes that it would be easier if he were her son, because then they could put words to how she’s feeling. Wes and Annalise always had a strange, nebulous, undefinable relationship that often verged on oedipal. And his death has left her feeling not only grief but confusion. The episode also has a subtle but solid through-line regarding Annalise’s addiction. Twice, she almost slips. But she doesn’t. Watching Annalise barging into offices and playing people is fun, but it’s just that. Her determination to remain sober after being totally defeated by her time in jail means something much more. While fighting with Asher over whether to help Annalise or not, Michaela compares their whole situation to The Borgias, and she’s not wrong. Both The Borgias and How To Get Away With Murder are operatic, dark, twisty dramas about fractured families that can’t stop infighting. As it turns out, the lines in this war are not so clearly drawn. Annalise’s “family” is fractured. Michaela and Asher question Connor, who has spent every episode since Wes’ death pointing his finger at Annalise. They’re right; it makes him look guilty. And then Oliver uncovers that Connor went to Annalise’s house on the night of the murder. 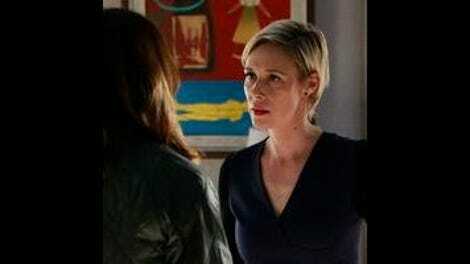 Annalise has her eyes on the DA’s office, and Laurel wants to take down the Mahoneys. But maybe the call is coming from inside the house, so to speak. How To Get Away With Murder has killed plenty of characters, but Wes’ death is without a doubt the most personal in the show’s history. And the mystery surrounding his death should be just as personal and not so garishly plotted. Connor poses a much more compelling threat to Annalise than any of the season’s other antagonists. We know this character. Borgias-style infighting is a war worth watching. “It’s War” delivers lukewarm skirmishes for the most part. The finale has to make it all feel personal again for the final twists to have any ground to stand on. About halfway through this episode, I became convinced that Connor killed Wes. Now, based on that final flash-forward, I don’t think the answer is quite that simple. My new theory is that he killed him but it was an accident, but the more likely answer is that he showed up mere moments after someone else killed him. Asher saying “like Veronica Mars?” when Laurel says she hired an investigator is the most I’ve laughed at an Asher joke in a long time. Matt McGorry nailed the delivery.